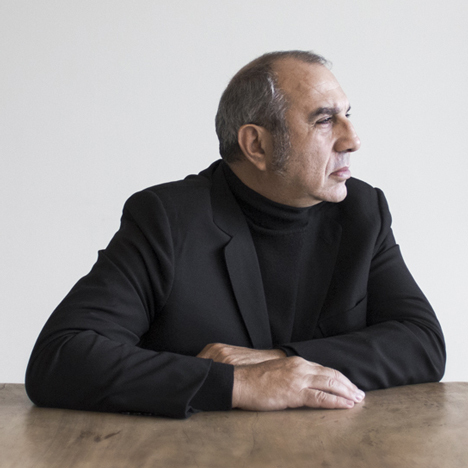 Design Indaba 2015: most furniture and lighting brands "will disappear in five years" as the internet revolutionises the way products are distributed, according to Italian industrial designer Stefano Giovannoni (+ interview). Speaking to Dezeen at the Design Indaba conference in Cape Town yesterday, Giovannoni said: "I think the old world of distribution is at the end. This kind of company has five years of life." Giovannoni, head of Milan-based Giovannoni Design, predicted that new web-based brands will spring up that sell products directly to consumers, undercutting the prices charged by traditional retailers by up to 50 per cent. "The future will be based on taking products from production directly to the final user," he said. The result will be a dramatic fall in prices as new online brands with the resources to invest in high-volume, low-cost products are able to bypass distributors and retailers and pass on savings to consumers. The markets for products such as furniture, lighting and bathroom products are already saturated, the designer argued, and the companies operating in these sectors have so far failed to establish strong online presences or strategies. To survive, they will have to take product distribution and retail out of the hands of third parties and sell exclusively via their own shops, or sell discounted products online. The only design brand rising to the challenge so far is plastic-furniture company Kartell, he argued. The Italian brand has embarked on an aggressive drive to open its own stores, including plans to open 50 shops in China. Designers need to start acting more like entrepreneurs, Giovannoni said, moving away from the current model whereby they jump from brand to brand, producing products that are barely distinguishable from each other. "It's ridiculous to see all the companies today work with the same designers," Giovannoni said. "You can see the same chair designed by the same person on three different stands [at design fairs], with a small variation." Instead designers should follow the leads of fashion houses such as Prada or Jil Sander, becoming their own brands and controlling everything from product to retail. "If we consider the last 20 years, the most interesting experience has been made by designers who created their own brand," he said. "For example Tom Dixon, or Marcel Wanders with Moooi. These are, if we look back, the most interesting and profitable experiences in our context." He added: "The internet gives [designers] more possibility to enter into the market, so I think in the future design could be something connected to our own brand, like in fashion." Born in La Spezia in 1954, Giovannoni, like most leading Italian designers, studied architecture before turning to industrial design. He achieved major success in the late eighties and early nineties designing products for Italian kitchenware brand Alessi, where his cartoonish egg cups, corkscrews and cruet sets have sold in their millions and helped the brand move away from a reliance on stainless steel products to brightly coloured plastic items. His Girotondo range of tableware for Alessi, which features toilet-door-style stick figures of men and women punched into chromed steel bowls and trays, have sold 10 million units so far and generated €20 million (£14.5 million) in sales last year alone. He also designed the ubiquitous Bombo stool, which he claims is the "most copied design product in the world." However he has since stopped designing furniture, believing that market saturation makes it difficult for designers to add value, and instead focusses on industrial products such as appliances, vehicles and accessories. "Maybe we have arrived at a point where design can't create added value," he explained. "So we have to move our activity, our way of working, from the old way of working." He employs eight people in his Milan studio but is in the process opening an office in Shenzhen, China. The Chinese government is giving Giovannoni financial support to open the office, he said, as part of a wider move to help Chinese companies become brands. "They need design," he said. "This is the reason why the government is supporting the creation of our studio in China." Marcus Fairs: Earlier you were saying that you think the internet is going to severely disrupt the existing design brands. In what way? Stefano Giovannoni: I think the old world of distribution is at the end. In the past, design and mass market were two separate worlds. Today, mass market is the support that allows design companies to survive. Distribution is changing dramatically. In the past, the distribution system was based on three steps. There was a supplier, there was a company that sold products to shops, and then the shops sold to the final user. Today, this distribution system is finished. The future will be based on taking products from production directly to the final user. It means you have two opportunities as a company. One opportunity is to have your own shop and distribute directly through your shop. The second opportunity is to sell on the internet. These are the only possibilities for the future. Marcus Fairs: What will happen to the design brands that rely on old-fashioned distribution networks? Stefano Giovannoni: I think this kind of company has five years of life. I don't think they have much more. Some of these companies are organising in the new way. [But] the internet can't be an important way for them because it's not compatible with traditional distribution. Of course they use the internet but it's not important to them. Some other companies that are a little bit clever are creating new distribution channels based on their shops. Kartell for example. Marcus Fairs: But the other brands in the furniture and lighting sectors for example will disappear? Stefano Giovannoni: I think these businesses will disappear in five years. This is my impression. But it's not only an impression. Marketing budgets are going down slowly; we don't see a future for these companies. Marcus Fairs: What kind of new companies will emerge to take their places? Stefano Giovannoni: Today is a very interesting moment because we are at the end of one period and at the beginning of a new one. So potentially we have a lot of possibilities. The internet has not shown yet its potential. But the internet will be the market of the future. Consider that today we don't have, except for a couple of big companies in China that are growing so fast and have become the leading companies in electronics in China, we don't have any company really addressing the internet business. They combine their internet business with their usual business, which means they don't use the internet in the proper way. I think in the near future many new companies will move in this direction. I'm studying this kind of business. One problem is that today we have a lot of websites but companies are not ready to sell products on the internet. But I'm sure in a short time they will be ready. Marcus Fairs: What about price? The internet can undercut physical stores on price. How do you get around that? Stefano Giovannoni: This is the reason why the traditional market will be cut off. Because on the internet you have the ability to sell at 50 per cent discount. Marcus Fairs: Will the internet mean that different types of products are successful – products that are cheaper to manufacture? Or will the existing classics find a new life? Stefano Giovannoni: This is a difficult argument. Today the market is saturated with products. Look at furniture – but not only furniture because of course the market for furniture is special. If you produce a plastic chair you need investment, but if you produce a wooden chair you don't need any investment so the access is very easy. This is why in Italy we have thousands of companies producing wooden furniture. There is a big gap between this kind of company and a real industrial company. The gap is that the industrial company has to invest. To produce a plastic chair for example, it means you have to invest €300,000 or €400,000 for the mould and the quantity has to be at least 20,000 to 30,000 chairs per year, otherwise you've made a bad investment. The situation for furniture is specific – the market is specifically saturated. But also in other market segments. For example I was recently studying ceramic for the bathroom. If you take a look today at the production we had in the last 20 years, the difference between one company and another is really minimal so that market is also saturated. To do something different you have to create something a little bit strange that will be difficult to have accepted. In domestic appliances it looks the same. Even if the design does not enter so deeply in domestic appliances, the market is really saturated and it is really difficult to create something new. The problem is more general. Maybe we have arrived at a point where design can't create added value. So we have to move our activity, our way of working, from the old way of working. Marcus Fairs: What do you think of the Design Indaba conference? Stefano Giovannoni: Here at Design Indaba, what was interesting was to listen to ideas. There is a lot of space in world, the world is so big for ideas. But today you need to create something very specific, you have to enter into the market with a very clear idea and go deeper with energy in your idea. If you have the right idea and you have the energy you will be successful. This is more important. Also the future of design – I think the usual system where a designer works with different companies is at the end. Today it is a little bit ridiculous. If you look at the design fairs, every company – I am out of this kind of system because I never wished to design furniture. I cut furniture out of my work from the beginning. But it's ridiculous to see all the companies today work with the same designers. And you can see the same chair designed by the same person on three different stands [at design fairs], with a small variation. We arrive at a point where this kind of process is a little bit ridiculous. Marcus Fairs: What is the future for designers? Stefano Giovannoni: The role of the designer on one side I think is to be an entrepreneur. On the other side, maybe the fashion model will be a possible model for the future. I mean, for example, if we consider the last 20 years, the most interesting experience has been made by designers who created their own brand. For example Tom Dixon, or Marcel Wanders with Moooi. These are, if we look back, the most interesting and profitable experiences in our context. Also the internet gives us more possibility to enter into the market, so I think in the future design could be something connected to our own brand, like in fashion. Marcus Fairs: There has been a lot of discussion recently about the future of design in Italy. Do you think the industry in Italy is in a different position to other countries or is everyone facing the same threat from the internet? Stefano Giovannoni: In Italy we had a big problem. We had 20 years of corruption and of course this was not only because of politics. All our cultural activity has been distorted by our bad government. Italy was 20 years ago a very interesting country, which has been destroyed by these politicians. Today we have still some top level competency in Italy, but we miss leadership in certain contexts. In design for example we are missing some position. Marcus Fairs: The internet allows you to be very aggressive on cost, so does that mean that the internet will grow a new type of product? Shipping is a big issue with online retail. Stefano Giovannoni: Shipping for example is one interesting argument. I think in the future there will be a lot of potential for products with a small size, because shipping and storage are the highest costs on the internet these days. If you sell a smaller product it will be much easier. Marcus Fairs: So the internet will change the products that we buy? Will it change the landscape of the home or the office? Stefano Giovannoni: I don't think so, maybe not the landscape. But it will change completely our way of working and thinking. This is natural, because the internet means transparency. In the past we needed to have visibility and we suffered a lot, companies suffered a lot, if we didn't have visibility. Today the internet creates transparency in the world, so if you have the right product then you can easily be successful. Marcus Fairs: Isn't Ikea already doing what you're talking about? Stefano Giovannoni: Why Ikea is so successful is because they optimised this process in the beginning. They go directly to the final user – this is the reason why they are so successful. Of course they are not so flexible as a design company. But in the end Ikea, by learning from the products and research of design companies, arrived at a certain where it optimised the balance between quality and price, so they are of course very competitive on the basic design. Marcus Fairs: If you go to any design festival there's thousands of young designers hoping to get their products into production. Do they have any future if the markets are so saturated? Stefano Giovannoni: I think they can. I think it will be more and more like this, but the internet will be the base for all these kind of activities. These designers could sell their products directly. Today we have a lot of confusion between real products, which means huge investment and quantity, and products which are artistic, one-offs. I think the two contexts are complimentary. For example in my house I have a lot of products which are limited edition, but there are two different contexts. What is really interesting, and I think this is something to analyse deeply, is what do we mean today by a bestselling product. In the past, 10 to 15 years ago, a bestselling product was a product which could play at the best quality and price, so was a product to sell in huge quantities – a real industrial design product. Today, the bestselling products for companies are products with a very high price, which do sell not in huge quantities – a few thousand pieces – but the price is ten times higher than in the past. So this nature of the bestseller has changed completely in the last 10 years. The problem today is that the companies don't produce any more real products. It would be very interesting to investigate what happened inside the companies. But according to my experience, 10 years ago good products, which could sell two to three million euros a year, were many. Today there are less and less. It means the market has reached saturation, that the company has no more the energy to produce and that the investment is lower. This is a fact. Marcus Fairs: You are opening a studio in Shenzhen, China. Talk about that. Stefano Giovannoni: Today the Chinese government is pushing a lot about design. They are very clever because they understand that China is the factory of the world. They have so many companies dedicated to manufacturing, to technology. They have huge production. European companies talk a lot to Chinese companies to develop their business to create products with a higher quality and now these companies are ready to become brands. So the next step of this process – which is a crucial process and is the reason the government understands why design is important – is to move these companies from the role of manufacturer and supplier to being brands. And they need design. This is the reason why the government is supporting the creation of our studio in China. Marcus Fairs: They gave you money to start an office in Shenzhen? Stefano Giovannoni: Yes. They gave me the space. It's a very nice space in a building designed by Tadao Ando. They also provided me with money for the restoration.